I call it the eating out game of roulette …is it going to be Chinese, Thai, how about Sushi?…I feel like some Vietnamese Pho. This is the kind of talk that ends with me giving up and seeing what’s in the refrigerator. There is, however, one solution courtesy of Shizusan. 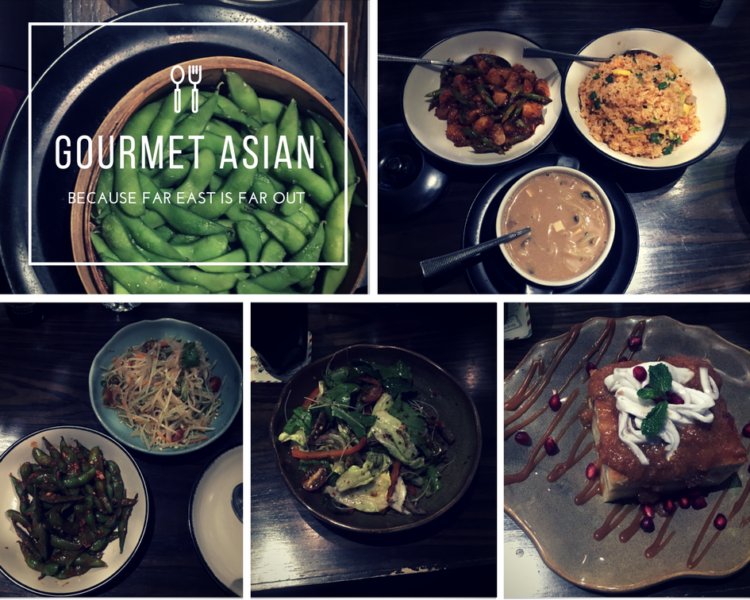 This relatively new pan-asian restaurant inside Phoenix Market City, Bangalore does all of the above and not in that hit-or-miss, how much can you stuff in your face buffet style of some eateries. Nope, this is a proper place with a proper menu that just happens to take in a fair bit of food under the Asian umbrella. When we walked through the fancy door of this new kid on the Whitefield block my first reaction was “wow”. As in, wow who would have thought of an interior this swanky – all wood, murals and ambient light – this is a far cry from the scruffy environs of mall food courts. We declined the airy, outdoor seat offered as an option by the super friendly waiter, preferring to look at the surroundings inside than listen to the loud live music being played just outside. And then on to that menu with its smorgasbord of Asian delights. I always reckon if you’re trying a new place you should try a new dish. Since I had never had Edamame with Sriracha and since it sounded special, I thought that would do. This despite my fervent belief that Edamame, its main ingredient, is best eaten with sprinkled garlic salt only and nothing else. That may be, but when you cook it in a rich melange of garlic, onion and ginger, toss in some Thai spices of the spicy variety, you have a dish that makes you want to lick the plate clean. I wasn’t the only one going “oh, that’s really good”. Mr D had chosen a Taipei Aromatic Miso milk soup, to kick off along with Phuket Som Tam tangy raw pawpaw salad. Usually I don’t suffer food envy but in this case I did. While my 17-ingredient Cole slaw Kimchi Jigae was great, my Dandan Mian noodle soup was spectacular. Perfectly cooked pieces of pok choy lolled in coconut broth shot through with mushroom, carrot and an automatic bouquet of intensely flavoured spices. There were chilli notes, lime hits, lemon citrus highlights and it was all as fresh as if it had come off a farm that morning. It’s not often a bowl of soup alone is worth visiting a place for. This was. Barely a pause and the mains arrived. Mr D had ordered Vegetable Kung Pao Baos and a Penang Laksa spiced lotus stem. It was another rewarding dish. On the mild side, but billed as such, the Baos had a real depth of flavour, spicy and tangy with the veggies adding gloss and earthy notes, with plenty of saucy goodness to soak it all up. The lotus stem itself was a bit mixed, deep fried in a batter oozing oil and needing a bit of jaw work. Meanwhile I was staring down the barrel of the “only two fried rice dishes on the menu, one Japanese and the other a Korean version” – and settled for the Korean Gochujang Buri Bop. Joining the party was a small serving of chilli, celery and chestnuts for company. Both the dishes had that freshest ingredients going taste which is clearly a hallmark of Pan Asia. Shizusan works. 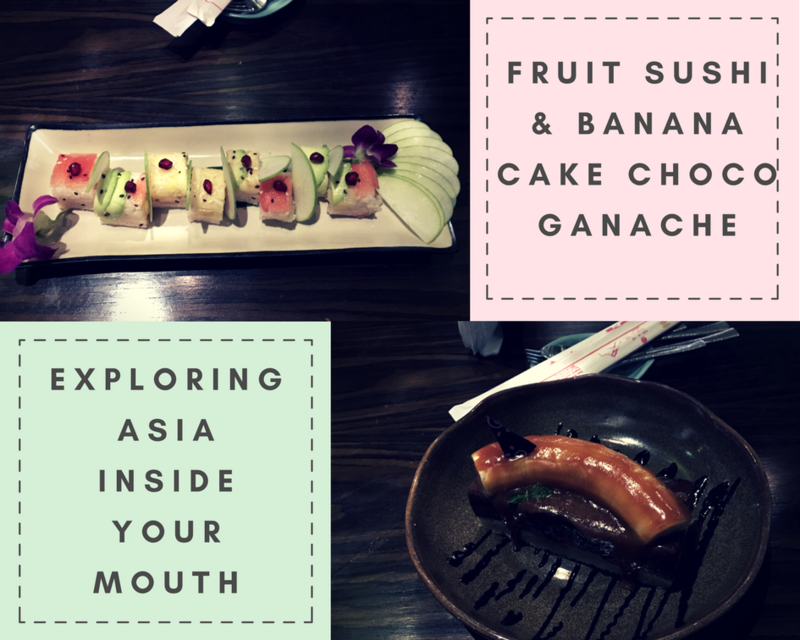 All that food plus three desserts, a visual treat in the form of fruit sushi, a decadent chocolate banana ganache and a yum coconut cake , we still couldn’t have enough and went back more than three times in two weeks. There’s another “gosh”. 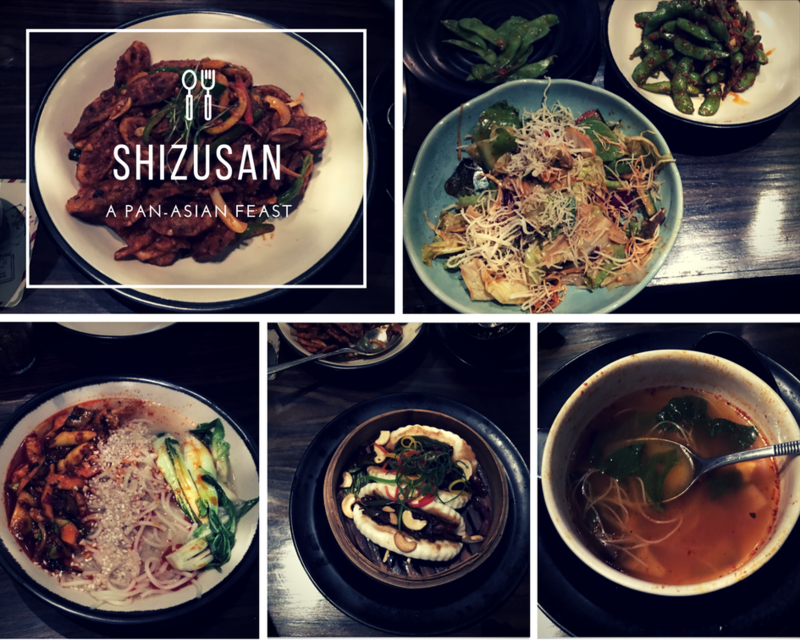 Often a place that draws on different cuisines can be a bit “jack of all trades”, but Shizusan is master of them all. Seek it out and thank me later.